It gives me a great deal of pleasure to photograph these pacific white sided dolphins. They are so playful and able to reach such great heights with their acrobatic jumps. Whether they are relieving an itch or just jumping for play, either way it is great to see a healthy stock of dolphins in our waters. 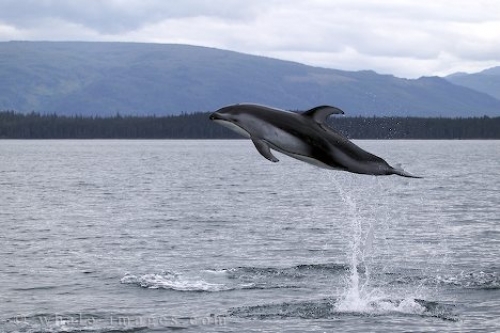 This dolphin reached such great heights as 5 metres or more in the air.